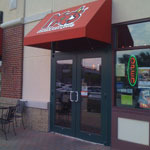 Review: We started going to Moe’s a few years ago. Fast friendly service, tasty chips with a variety of salsas, and tacos with black beans – yum! Then ownership changed hands, and my experiences weren’t as good. The staff was less friendly. The restaurant was less clean. It took forever to order. So I stopped going as frequently because it wasn’t as pleasant of an experience. Tonight, though, we opted to give it another try and I’m glad we did. The service was excellent, all the way down the line. I didn’t have to repeat my order, the person working the counter was able to process multiple orders at once, and the service was pretty speedy. We made our way down the line and paid without a problem. And, the food was also great. I am a really big fan of the “Who is Kaiser” salsa. I’m not sure if ownership changed hands or if there is new management of if they finally got their groove, but I had a much better experience tonight than I’ve had the past few times and I’ll definitely put them back into my regular rotation.